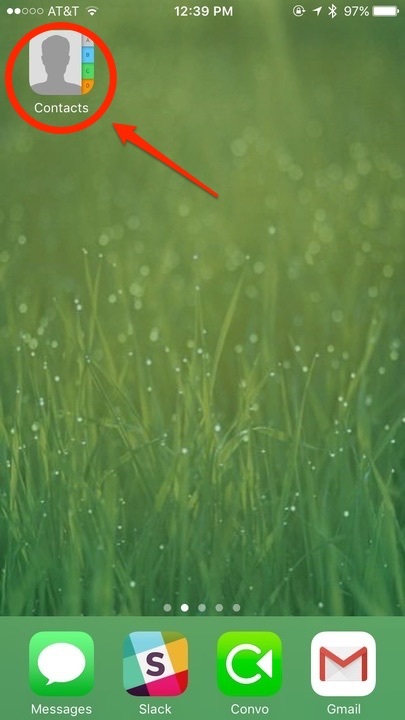 First, click on Contacts on your iPhone. Next, select a person you would like to call through Convo iOS. 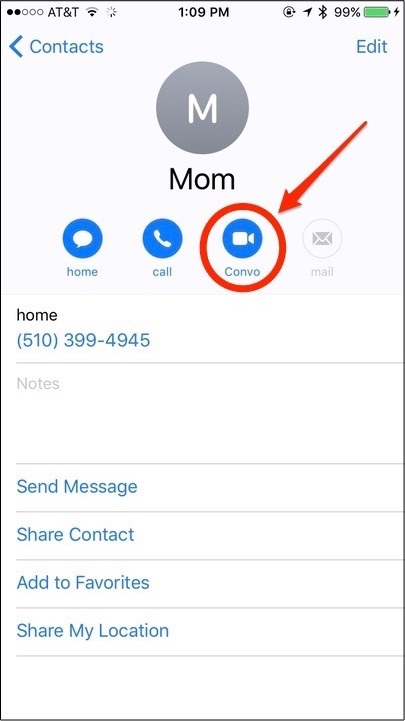 Click on the blue Convo icon to start a call. Lastly, your Convo app will open up and call the number! IMPORTANT: If you don't see the blue Convo icon, press-hold the blue FaceTime icon (same place that is circled in the image above). A menu should appear and you'll be able to select Convo. Make sure you are using the latest Convo iOS version. This feature allows you to make both VRS and point-to-point calls.